The beauty and wellness industry in the country is on the uptrend with more people opting to eat better, exercise and to engage in a healthy lifestyle. More people are gaining interest in rejuvenating beauty. And a vast majority of them are getting younger and younger. Skin 101 is a medical facility founded by Dr. Jennie Francisco-Diaz and Dr. Oliver Diaz. It specializes in the fields of Cosmetic Surgery and Dermatology. It is one of the trusted skincare clinic in the country known not only for maintaining healthy, smooth skin of its loyal customers but also in providing the latest technological advances in skincare. 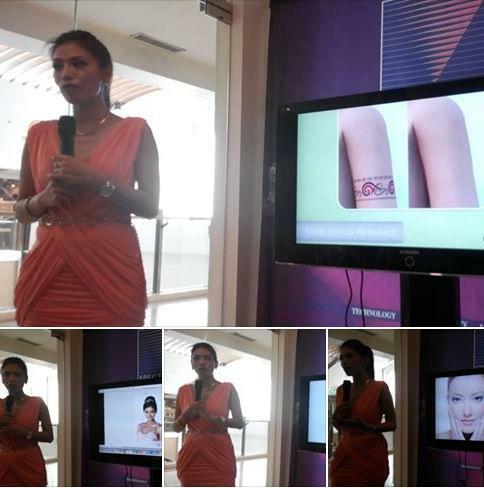 And in its trust for providing the most advanced treatments, Skin 101 invited lifestyle and beauty bloggers last May 27, 2015 to learn more about RevLite Laser. Revlite® Laser is powerful tool that makes removal reversal safe and effective. 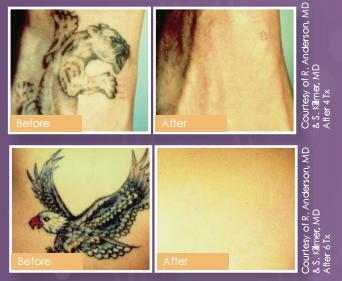 Gone are the days when tattoo removal meant low odds of success on a high risk of scarring and pain. Tattoos are designed to last forever, but as more and more people seek reversal of these deeply embedded ink deposits, technology too has kept pace with improved methods of safety and comes in the form of Q-switched Nd:YAG lasers using PhotoAcoustic Technology which safely penetrate the skin and wavelengths. The most Advanced Laser for removing black and multi-colored tattoos causes it to gradually fade during a course of 5 to 15 treatment sessions. There are many benefits for usingt Revlite Laser not just for the tattoo removal but for the face as well. RevLite is also recommended to treat skin discolorations and is considered to be the most effective treatment for hyperpigmented-skin. Hyper pigmentation is referred to any kind of abnormal darkening of the skin. With the latest technological advancements, doctors can now work wonders on hyper-pigmented skin using Revlite Treatment. This laser skin rejuvenation has become the procedure of choice among individuals who cannot afford time away from work to recover from invasive treatments. Revlite is commonly used for removing age spots, sun spots, photo damage, freckles, lentigo, lentigenes and brown birthmarks as well. Revlite helps remove dark spots and unwanted hair of the whole underarm area. Revlite Laser Treatment can help you get smoother, whiter underarms! Schedule an appointment to preview Revlite now! I think many Filipinos would consider the Revlite Laser Treatment to whiten their underarms. People nowadays are getting more interested in beauty technologies 'cause they are super worth it. oh my brother would be very interested to this... he got a tattoo but didn't love the outcome though... he had to bear with it for a long time.. good thing it was on his back... i see, this may take 5 to 15 treatment sessions... i would inform my bro about this.. It's nice to know that we have a technology like this in the Philippines. I am sure a lot of people would like to avail of this service. I have so many friends who doesn't want their tattoo anymore. This is a great option! It's really impressive how they can now takeaway tattoos so people have more options. It also has a lot of beauty treatments available. yes the beauty industry is really growing stronger as more and more people would like some enhancements...of course if they can afford why not? This is one beautiful place to check out. I only been to the dermatologist once when I visited the Philippine almost three years ago. We need to keep out skin healthy and free of any blemishes.